It’s every parent’s nightmare to think their child has just a simple cold or flu but instead goes to the hospital only to find out that the child has something ten times worse. This is the exact nightmare that became reality for the parents of Savannah Perez. Savannah had been sick with flu like symptoms and was not improving but instead getting worse; her mother had no choice but to take her to urgent care as soon as possible. 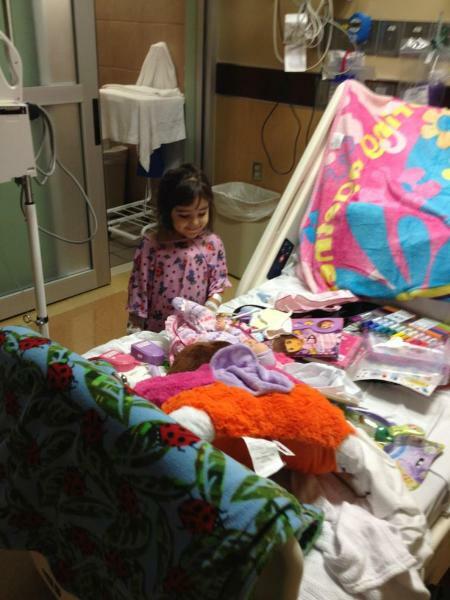 Savannah was so ill she had to be transported to UMC Diamond children’s center, where she was diagnosed with leukemia. Leukemia is cancer of the white blood cells and can be fatal if not caught in time, and luckily Savannah's was caught early. Although one can still only imagine the heartbreak and pain this horrifying new brought upon her parents and loved ones. Our beloved three year old is now fighting for her life. As you walk into her hospital room all you see and hear is a small screaming child in excruciating pain and terror with bruises all over her body including her tongue, and there is absolutely nothing you can do but be there to comfort and support her. You may be wondering why bruises all over her body? This is because leukemia causes an abnormally high number of white blood cells which crowds the bone marrow cells that make red blood cells and platelets this causes anemia as well as impaired clotting. Some cases such as Savannah’s are able to be treated with chemotherapy. 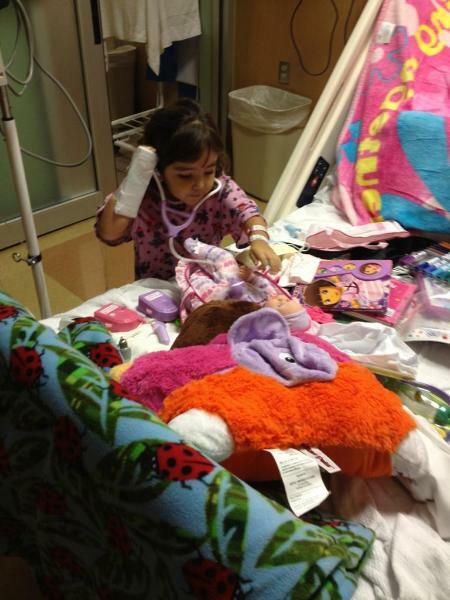 Savannah had very good doctors and within about a week or so was able to be put on chemotherapy. For Savannah and her loved ones this was extremely good news and gave us all hope. Although Savannah was known for her long and luscious hair that everyone loved and unfortunately she will lose it all. Savannah will be spending much of her childhood in the hospital but it is hoped that she will be in remission by the new year of 2012. I have greatly simplified this whole journey words alone cannot explain how terribly painful and hard it has been for Savannah and her family, but the best we can do is stay strong, positive, and have high hopes for her. A miracle has happened, doctors tested her bone marrow and she has responded well to the chemo because there were no more cancer cells found! She is a strong baby and will make it!